Darlene A. Rouse, 59, passed away peacefully on August 26, 2018 surrounded by her family. Darlene was born July 12, 1959 to Richard and Marcella (Mertens) Kaye in Green Bay. Darlene was a very kind, big hearted woman who went out of her way to help any and everyone of family members. From taking nephews and nieces for summers or years. She never turned anyone away. In Darlene's final weeks she was still making sure everyone was going to be taken care of. 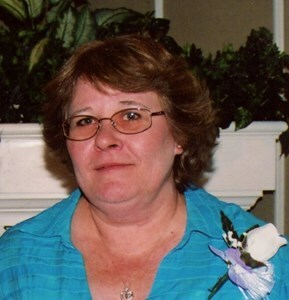 Darlene is survived by her husband Dale, her beloved sons, Shawn (Heather) Smith and Jordan Rouse. Her step-son Donald Rouse, Her grandchildren Peyton, Wyatt, and Levi Smith, Brett and Isaac Rouse. Her mom Marcella, her god children, Amy, Troy, and Brandon. Her siblings Tina Spriggs, Carol (Ken) Becks, Danny (Tammy) Kaye, Mark (Shelly) Kaye. Special niece Crystal Becks, and numerous other nieces and nephews. She is preceded in death by her dad Richard, her brother Rick, sister, Patty, and her nephew Jesse. Visitation will be held on Tuesday, September 4, 2018 from 11 AM - 2 PM at Newcomer - Green Bay Chapel, 340 S. Monroe Avenue, Green Bay. Entombment will follow at Fort Howard Mausoleum. Add your memories to the guest book of Darlene Rouse.